for $220,000 with 4 bedrooms and 2 full baths. This 1,727 square foot home was built in 2018 on a lot size of 73 x 110. 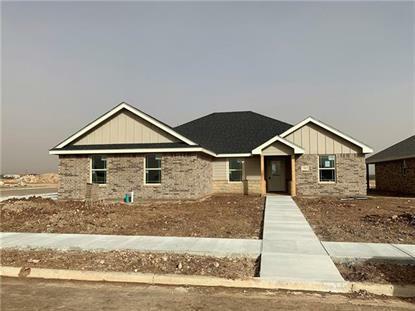 Beautiful new construction home in the developing Carriage Hills Subdivision close to Lake Kirby & the new Wylie schools. 4 Bedrooms (or 3 with study), 2 Bathrooms, Open flow living-dining-kitchen with split bedroom layout. Luxury Vinyl Plank flooring in main areas with carpet in bedrooms. Granite countertops, custom cabinetry, great kitchen island with sink. Garden tub & separate tiled shower in the master. Great covered porches and wood privacy fence. Wonderful corner lot with sprinkler system and landscaping. Anticipated completion March 2019. HOA to be active spring 2019. Data is updated as of 3/27/2019.